Recently, I worked on an illustration that, funnily enough, morphed into this “sister” piece related to a guy+soldier painting I created the week before. It’s like a Part 1, Part 2 sort of something. Anywho, let’s move on to the meaty mess behind the scenes. So goopy. Much loving it. Wow. The main thing I want to play with is the design of letting her arms and legs get lost and found in the background. It seems visually interesting. Next up, the detailed sketch! Let me take a moment to say that while this piece seemed simpler to create than the previous one, it actually took more time and effort. What gives? It’s just a simple figure against a simple background. No helicopters, crazy dust, or banged up armor to figure out. Piece of cake, right? By the second hour I’ve let go of how I wish the face would look (realistic) and gone for a more stylized blend, the kind that “felt right”, anyway. I’ll go with that. Onto the value and color studies! After transferring the sketch to canvas, it’s time to get painting. I paint the same outline technique I tried on the last piece, but this time I’ll try not to rely on it so much and lean more on value relationships. The influences behind this painting are a kaleidoscope of artists that I’ve currently found interesting. 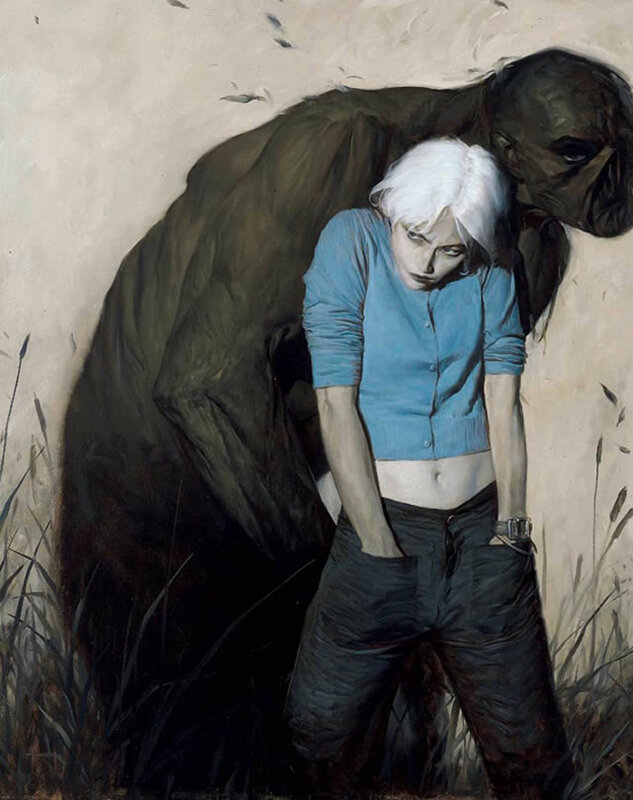 Below are samples, in order, from Phil Hale, Jon Foster, Daniel Gerhartz, N.C. Wyeth, and Dean Cornwell. 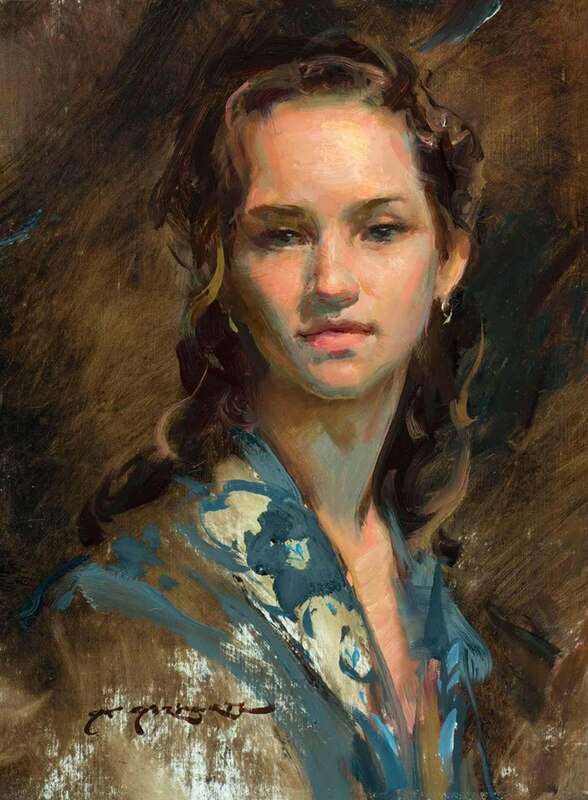 The idea was to mimic the texture and brushwork of Gerhartz and Cornwell while combining Hale and Foster’s moods with the simple composition of Wyeth. Welp, she’s done now. Went a little crazy with the elvish on those staffs though. It reads “din caladram” which means “silent light-strike”. Researched and everything. Yes indeedy. I nerd, therefore I am.